Are you so tired of your full-time job you would do anything to escape? Are you sick of never seeing your kids? Are you depressed over never having enough vacation days? Are you ready for a serious life change, but not ready to give up your income? If you asked me these questions five or six years ago, I would have screamed “yes” so loud the neighbors would hear. I was earning a nice income, but not nearly enough to justify the life I was giving up. And in a lot of ways, I simply wanted more – more money, more freedom, and a better quality of life. As the Director of Family Services at a local mortuary, I had a rewarding career. On the flip side, however, my job was extremely stressful and taxing on my personal life. Not only did I work 40 – 50 hours every week, but those hours often included nights, weekends, and holidays. I was dog tired, spent emotionally and physically, and sick of always having to put my family last. In 2011, my husband and I started a blog to document our financial progress. ClubThrifty.com didn’t bring in very much money at first, but the experience did clue me into some amazing opportunities I hadn’t known about before. As someone who was already passionate about writing, I was thrilled to find out a ton of online websites and brands hired writers to create their online content. And within a few months, I was leveraging our blog and my online presence to build an online portfolio of work. Before long, I was hooked. Working a full-time job and writing on the side wasn’t easy. To keep up with client deadlines, I had to get up at 5:00 a.m. to work all the time. I also worked the “second shift” all the time – you know, after 8:00 p.m. when my kids went to bed. Fortunately, all my hard work and dedication paid off. 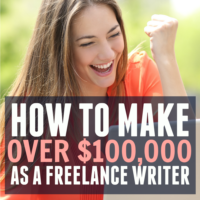 Within 12 months, I replaced my $40,000 salary with freelance work gleaned from the web. I put in a one-month notice at my job….and bounced! And no, I have never, ever looked back. 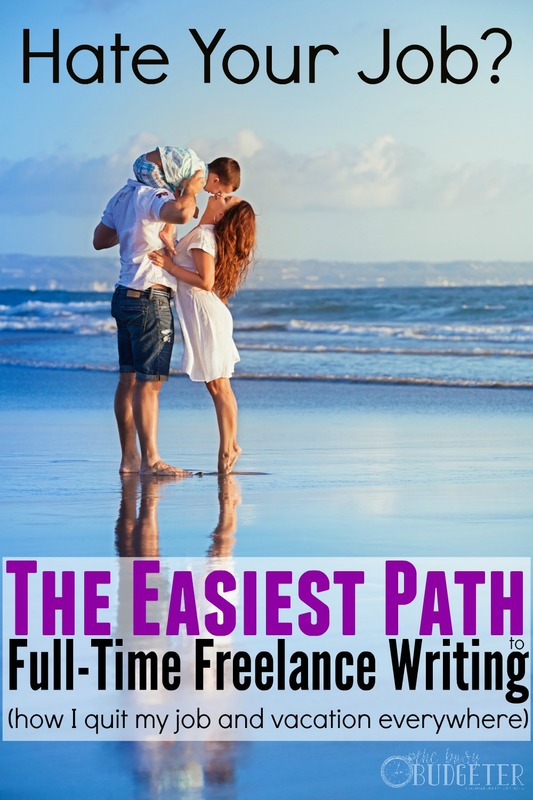 Since then, I have built a thriving freelance career with a consistent six-figure income. Even more importantly, I have earned the right to control my life in ways I couldn’t before. Where I once saw my kids just a few hours each night, I’m now here the second they get off the bus. And where I once had just a few weeks of vacation each year, I am now able to spend entire school breaks with them. For the first time in my life, I feel as if my life is my own. Where I once had to ask permission to take a day off or stop and smell the roses, I’m now firmly in charge of every waking hour. And after years of working for someone else, I can’t tell you how good it feels! If you ever read about travel or money on the web, you have probably read my words somewhere. Not only am I Contributing Editor for The Simple Dollar, but I write columns for Lending Tree, Frugal Travel Guy, U.S. News and World Report Travel, and Wise Bread. Over time, hundreds and maybe even thousands of people have asked me how I made my freelance dreams come true. How did I build a portfolio from scratch? And most importantly, how can someone else do the same? 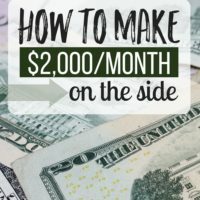 To answer those questions and more, I created my first digital product – a freelance course called EarnMoreWriting.com. 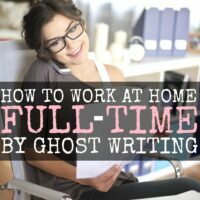 Throughout nine video modules and an array of printable materials, I outline the exact steps someone should take if they want to leave their stressful job to write or blog full-time. While I can’t cover every step in a blog post, here are a handful of steps any aspiring writer can take right now. While writing is a talent that comes naturally to some, we all have room for improvement. For most people, the path to becoming a better writer involves practice – and a lot of it! If you’re angling for a writing career, the best thing you can do for yourself is to read and write all the time. Write essays, create epic blog posts, and compose letters for yourself or others. Over time, your writing skills will improve. Step 2: Create a blog or post an online portfolio. If you want to build a career creating online content, it helps to have an “online home.” You want people who hire to be able to find you, right? By and large, having your own blog or online portfolio site is the best way to make yourself accessible. A lot of people love writing yet cannot figure out what to write about. If you want to be successful as a freelancer, however, it’s crucial to narrow down your area of focus. My ideal niche is personal finance, credit, and travel, but yours might look entirely different. I always suggest people focus on their passions and areas of expertise, then build their niche around them. Step 4: Look for opportunities to guest post. While your blog or online portfolio is a great place to publish your latest work, guest posting elsewhere is a great way to get your name out there. Not only will guest posting help beef up your portfolio, but it can help other people become familiar with your writing style and brand. Best of all, guest posting can lead to paid work. Step 5: Invest in yourself. Most professional jobs require a specific college degree, yet freelancing is fairly flexible in terms of educational requirements. While a college degree certainly helps, your writing skills and your experience are equally as important if you want to become a freelance writer. Find out how I “get ahead” of other writers when it comes to getting work. While it might be hard to believe, the opportunities in online content creation are limitless. Every business on the internet has to hire someone to write articles for the blog and content for their website. Heck, even medium to large-sized blogs hire writers to craft interesting, engaging content. Why can’t that writer be you? 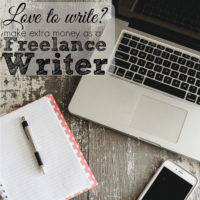 Whether you’re a gifted writer or simply want to become one, replacing your job with freelance income is a real possibility. A lot of hard work may be in your future, but the payoff will be worth it. And if you want some guidance along the way, I am here to help. 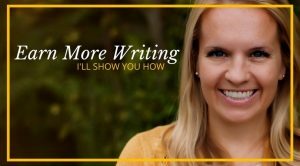 Check out EarnMoreWriting.com today. Holly Johnson is a financial expert and award-winning writer who is obsessed with frugality, budgeting, and travel. In addition to serving as Contributing Editor for The Simple Dollar, Holly writes for well-known publications such as U.S. News and World Report Travel, Personal Capital, Lending Tree, and Frugal Travel Guy. Holly also owns two websites of her own – Club Thrifty and Travel Blue Book. You can follow her on Twitter or Pinterest @ClubThrifty. Love Holly’s blog! Her story is super inspiring, and I’m sure that any course written by her has to be pretty amazing! Ashli @ The Million Dollar Mama recently posted…Can Money Really Buy Happiness? Love this! Its definitely inspiring but I just can’t imagine being brave enough to actually take the plunge full time!